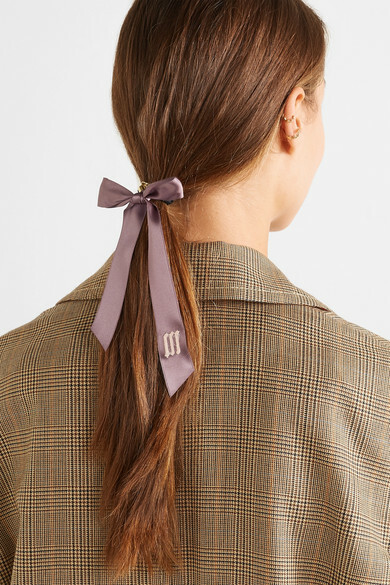 Tying a bow around your ponytail is such a quick way to look more polished. 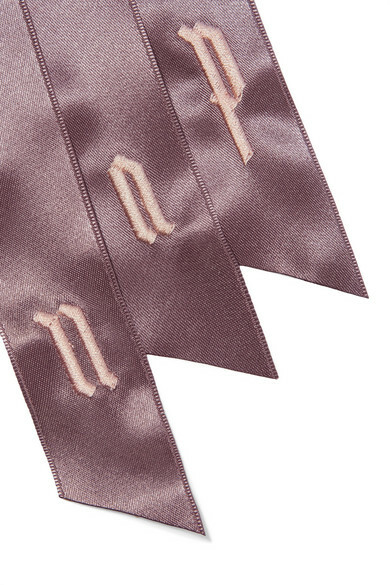 LELET NY's version is handmade with a pretty mauve satin ribbon that's carefully embroidered with the initial of your choice. It's a wonderful idea for gifting. Shown here with: Sonia Rykiel Trench coat, Jacquemus T-shirt, Saskia Diez Ear cuffs.